Every year or two I get a cold which turns into a cough which turns into bronchitis. Until it hurts to breathe, I don’t pay much attention to my breathing on a day to day basis. 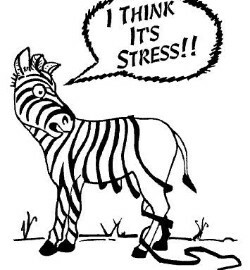 Same is true for most people … Unless it affects our quality of life, we take breathing for granted. Yet we do it– inhale and exhale—20,000 or so times a day. I found that figure astonishing when I first read about it. Is there anything else we do that frequently, ever? …Approximately 70 percent of our body’s waste is excreted through our lungs, breathing affects all sorts of physical conditions from Renaud’s disease to blood pressure and breathing expands inner awareness to the point where it becomes a form of psychotherapy. 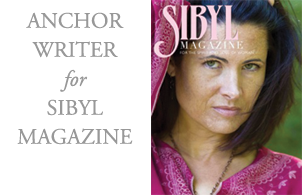 Read more about the power of our breath in The Power of Awareness – A Journey Through Breathing in Sibyl Magazine May edition. We live in a world where we make judgments every day. We decide when to cross a street and when not to, when to speak to a stranger and when to pass by… This good/bad judgment can keep us safe. But what would it be like if, outside of these essential discernments, we were able to accept what is as it is – not good, not bad, not beautiful, not ugly, not right, not wrong. Most of all, what would life be like if we didn’t judge ourselves quite as much as we normally do. Read more about Awareness without Judgment in The Power of Awareness – Witnessing Without Judging or in Sibyl Magazine’s March 2016 edition. We develop filters through which we see reality from the moment we’re born—some would say from the moment we’re conceived. Like the lenses opticians try out when we go for a sight test, our filters either blur or clarify our view of the world. And like my client, we often grow up unaware that we even have filters. We accept what we see as being an accurate assessment of the way things are and we action based on those assessments. Our precious lives are shaped by those actions. Being able to stand back and recognize that we’re seeing through filters is quite a skill, the skill of Awareness. In our western society we grow up pushing pain away. We distance ourselves from pain through legal and illegal drugs, shopping, eating or not eating, caretaking, blame and even obsessively positive thinking. The list is endless. But every spiritual and wisdom tradition tells us that the dark times can be the most fertile periods of growth, the incubators of new life. Almost every day life throws up growth opportunities disguised as something we’d rather do without. Read more at Growing from Suffering – Sibyl Magazine October 2015 or at Sibyl Magazine. Listen to my conversation with Graeme Hopkins, host of Be Empowered Group Radio about Awareness, managing life, being happy and connected. Conversations that Heal is a great podcast out of Seattle, Washington. 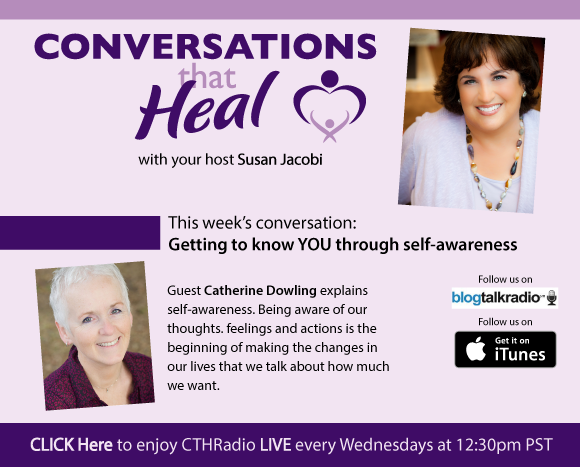 Join Susan and me for a conversation about Awareness on Wed. June 10 at 12.30 pm Pacific Time.